Dimensions (HxWxD): 3.025" x 1.5" x 0.4"
This very rare & hard to find smoky scepter is a collector's item from Hallelujah Junction in Nevada. These scepters are of exceptional quality & are very rare in nature, especially one this well formed, with a beautiful translucent darkish smoky stem and a bulbous hexagonal body ending in a perfectly formed termination tip. Truly a Lightworker's power tool, fit for royalty! 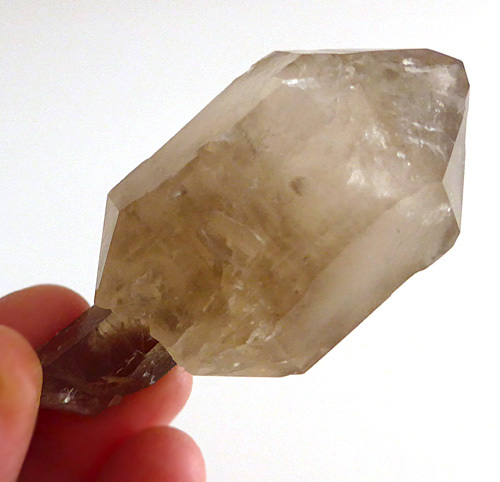 It is fantastic that this amazing Hallelujah Junction Smoky Quartz Scepter with its large, bulbous pale smoky body and well-defined hexagonal termination tip came out of the mountain in nearly flawless condition. Check out the body of the shaft and the termination tip -- all six faces of the tip are without dings and pits as you can see in the photos on this page. These smoky quartz wands are of exceptional quality, with substantial value as mineralogical collector's items, and a unique energy signature that renders them very valuable tools for meditators, energy healers and Lightworkers. And scepter formations are even more rare! This scepter wand has a very strong yet gentle healing energy signature and a delightful feel in hand for meditation or any kind of energy work. This smoky wand is the ideal size to hold in the hand during meditation or to use as a wand during Reiki or other forms of energy treatments. The unique energy signature exhibited by this remarkable Hallelujah Junction smoky wand is related to the unique conditions of the area where it grew. There are 200-300 locations around the world where quartz crystal scepters form naturally, and one of the most famous is Petersen Mountain, Nevada, known to rock hounds as Hallelujah Junction. 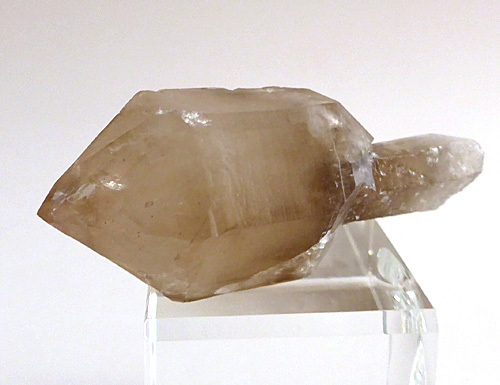 A scepter crystal is a rare type of crystal formation in which the main crystal formed around a pre-existing crystal rod, resulting in a unique geological geometry. The original crystal rod formed over vast periods of geological time and then, conditions changed, and became more favorable to crystal growth. Perhaps the crystal was surrounded by a solution of super-saturated silica, for instance, triggering a rapid growth spurt. Mineralogists suggest that rapid growth favors the formation of a crystal’s point rather than its faces because points are composed primarily of edges, and during rapid crystalline growth edges and points generate a higher electrical charge than the rest of the crystal, and this higher electrical charge attracts silica molecules, which then form an engorged “head”, “knob”, or “point” around the pre-existing crystal rod, which acts as a “handle” for the new crystal scepter. In any case, there is no doubt that all scepter crystals had a “troubled childhood” which typically involved two-stages of crystallization, and oftentimes earthquake shocks, multiple freeze-thaw cycles and severe transformations in the chemical composition of the pockets within which crystals form and grow. Petersen Mountain is composed primarily of fractured granodiorite. Granodiorite is an intrusive igneous rock similar to granite, but granodiorite contains more plagioclase than potassium feldspar. It usually contains abundant biotite mica and hornblende, giving it a darker appearance than true granite. Petersen Mountain also contains multiple pockets and seams of hydrothermal milky quartz running through the granodiorite matrix like blood vessels through the human body. At the intersections of these quartz veins, mineralogists have discovered pockets of crystals, ranging from 1 centimeter to 2 meters across. It is in these pockets that scepter crystals of smoky quartz, milky quartz, amethyst and citrine are formed. Normally, for every 10,000 crystals removed from Petersen, one well-formed scepter is recovered, rendering these Hallelujah Junction scepters highly prized collector’s items. 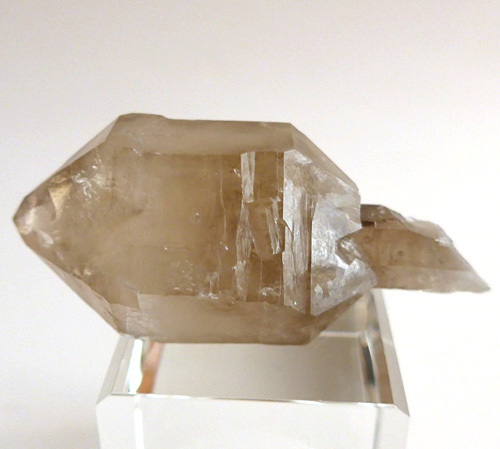 Lightworkers, crystal healers and meditators have also come to appreciate the unique energetic qualities of Hallelujah Junction Scepters, which derive from the sacred geometry and the mineral composition of these rare and powerful quartz allies. Scepter crystals have been traditionally used by shamanic practitioners, high priests and high priestesses in various cultures around the world for millennia for healing and to connect to Higher Worlds. They are considered by meditators, crystal healers and Lightworkers to be exceptional amplifers of energy, capable of transmitting high-frequency light beams as powerful as other quartz crystals many times their size. In addition, scepter crystals are said to aid the bearer in manifestation, helping to crystallize what is visualized from the causal matrix of creation into physical reality. 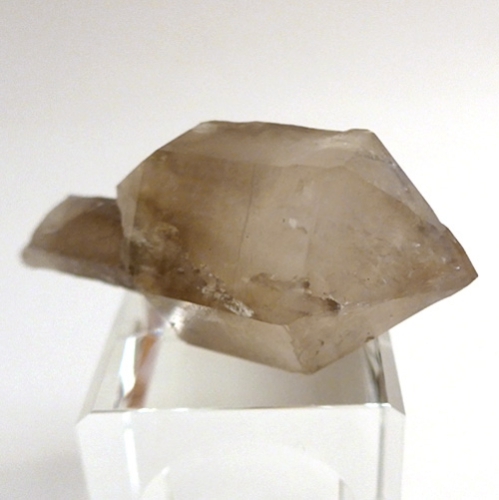 Lightworkers, crystal healers and meditators have also come to appreciate the unique energetic qualities of Hallelujah Junction Smoky Quartz, which derive from the coloration derived from the mineral composition of these rare and powerful quartz allies. 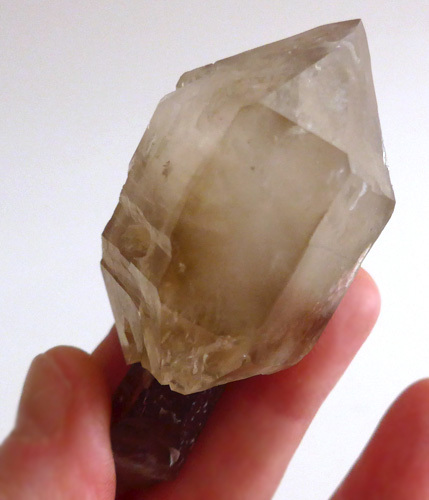 In recent meditation sessions with a large Hallelujah Junction smoky quartz elestial scepter, I was amazed at the power and energy of the specimen, which had been cleaned, cleared of old energies, exposed to sunlight, and given a Reiki attunement prior to the meditation. The energy from the Hallelujah Junction scepter gave me goosebumps, and I felt a strengthening and expansion of my etheric body, which extended outward into the aura, and inward, energizing the physical body as well. I perceived this enhanced energetic field to be extremely protective, generating a feeling of substantial security. Simultaneously, time slowed down, and stretched out like a rubberband, so that I was more completely in present moment awareness, which became so profound that past and future disappeared, along with the usual compulsive thoughts about past events and future plans. I also felt deep rootedness, an enhanced connection to the Earth, and this connection to the Earth produced a connection to ancestors who lived on this Earth long before me. I sensed a connection to Native American ancestors who had lived and worked their shamanistic form of natural magic in the area where the Hallelujah Junction crystal had been uncovered, the Petersen Mountain Range, which extends from Nevada through California. I realized that this scepter was connected to the Source of Crow medicine, the medicine of personal transformation and shape-shifting, and to the medicine of Buffalo, which confers the power to manifest success in the material world. I went deeper into the timeline, and discovered a deep harmonic resonance with the Black Madonna, the mysterious Goddess who extinguishes the illusion of egoistic personality and separation and whose embrace confers the bliss of Unity consciousness, and with the energies of Shiva, the Source of Cosmic Energy who is also the destroyer of the demons of the mind and the Goal of those who seek Self-realization. I used the scepter successfully to multitask energetically. First I set my intent to send energy to three different places and sets of people who needed healing energy, and also set my intent to receive energy and guidance from my Ascended Master spiritual guides and teachers. This went quite smoothly and I was pleased with the evident power of this scepter. In summary, the Hallelujah Junction Smoky Scepters of all varieties are powerful stones of alchemical transformation, and would be a prized addition to the toolkit of any Lightworker, meditator or crystal healer. Note: Above weight is shipping weight. Actual Weight is 82 grams or 2.9 oz.